MAN 1: Have you seen Tom Collins? 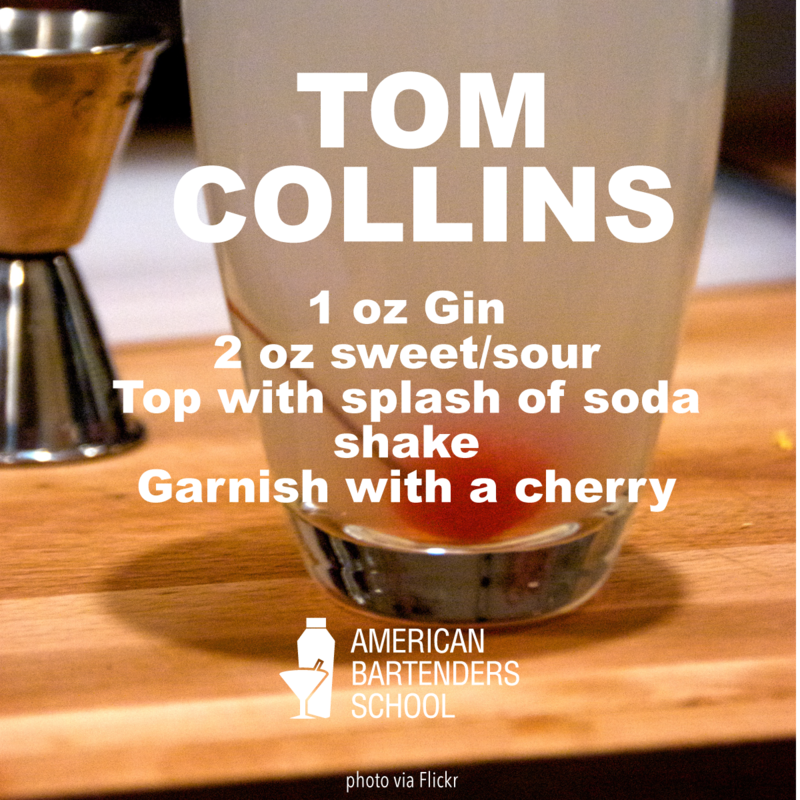 MAN 2: Who the heck is Tom Collins? MAN 1: I don’t know much about him, but he’s been spreading some horrible rumors about you! MAN 2: Where can I find this guy!? MAN 1: He’s at ___ bar. MAN 2: Let’s go get him!! They would run off to the bar, where MAN 2 would go to the bartender and demand to know where Tom Collins was. The bartender (already in on the joke), would point out some random person and then a big argument would ensue until the whole bar realized what was going on and would erupt in laughter. Then, everyone bought each other drinks. It was definitely an odd time for humor…but definitely makes the name make sense. The classic recipe was made with Old Tom Gin, which is a sweeter type of Gin. This recipe is also close to a Gin Fizz, but the Gin Fizz is supposed to be a little sweeter. The Tom Collins is also served in a high ball glass. Art of Drink gets into the small distinctions between the two in this great post. Previous Previous post: What makes the perfect Christmas cocktail?